December Market Updates are officially in, and there's only signs of a small ding in home sales - mostly attributed to rising interest rates last month. "Florida's housing market reported higher median prices and increased inventory (active listings) in December compared to a year ago, according to the latest housing data released by Florida Realtors®. However, buyer uncertainty from rising mortgage rates and the federal government's shutdown may have impacted home sales, which were lower than the level of sales a year ago. Sales of single-family homes statewide totaled 20,633 last month, down 9.9 percent compared to December 2017." - Florida Realtors. "Looking at Florida's condo-townhouse market in December, statewide closed sales totaled 8,156, down 11.4 percent compared to a year ago. 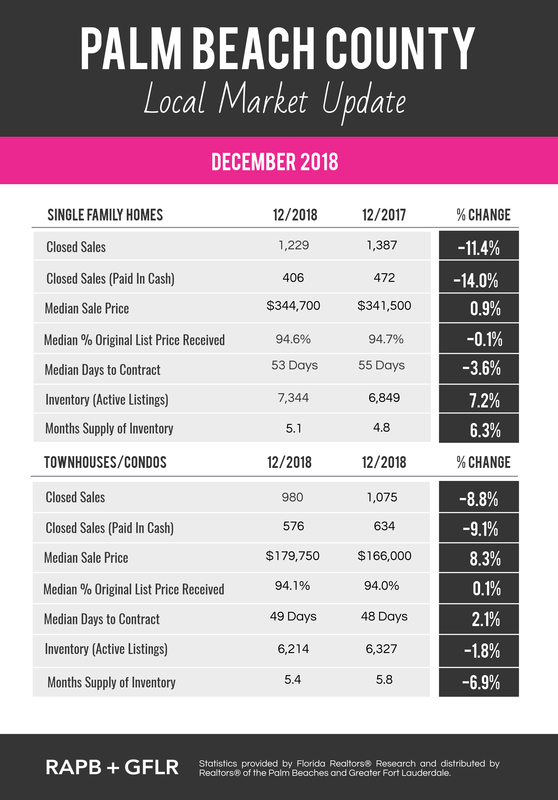 Closed sales data continued to show fewer short sales and foreclosures in November: Short sales for condo-townhouse properties declined 39.7 percent and foreclosures fell 33.7 percent year-to-year; while short sales for single-family homes dropped 49.8 percent and foreclosures fell 26.8 percent year-to-year. Closed sales may occur from 30- to 90-plus days after sales contracts are written. 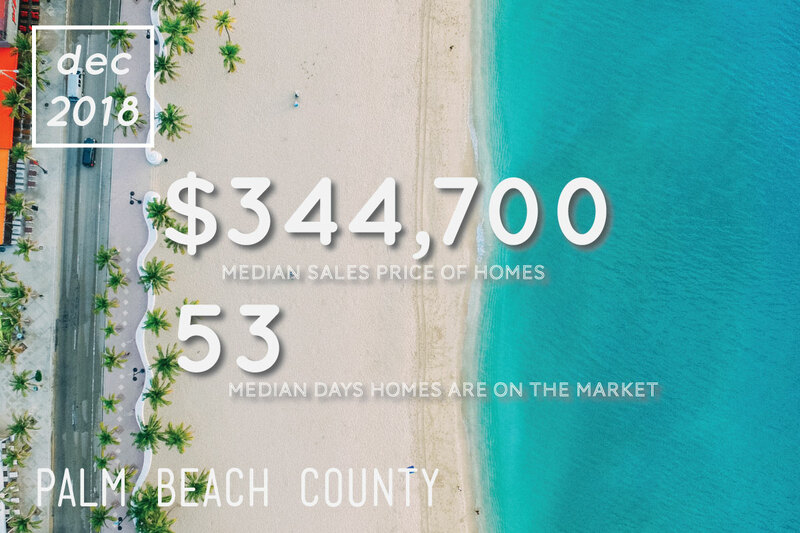 "Notably, this year-over-year decline in sales for December was felt across the nation, not just in Florida, which is evidence that interest rates played at least some role in dampening the number of closings," says Florida Realtors Chief Economist Dr. Brad O'Connor. "Thirty-year fixed mortgage rates began to ramp up in September and had reached a multi-year high of close to 5 percent by mid-October, which is typically when financed sales closing in December go under contract." Interest rates likely will continue to play a role in determining the direction of Florida's housing markets going forward, O'Conner adds. "Homebuyers considering sitting on the fence until prices come down might want to take note that we're also likely to see significantly higher mortgage rates by that point. 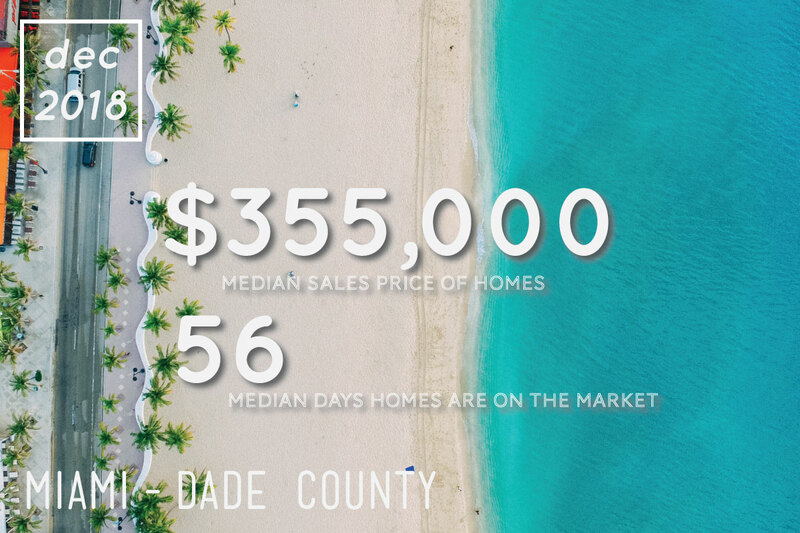 While there has been a slight softening in the pace of home price growth since mid-2018, there are currently no signs that Florida home values will experience any wholesale declines over the next year." 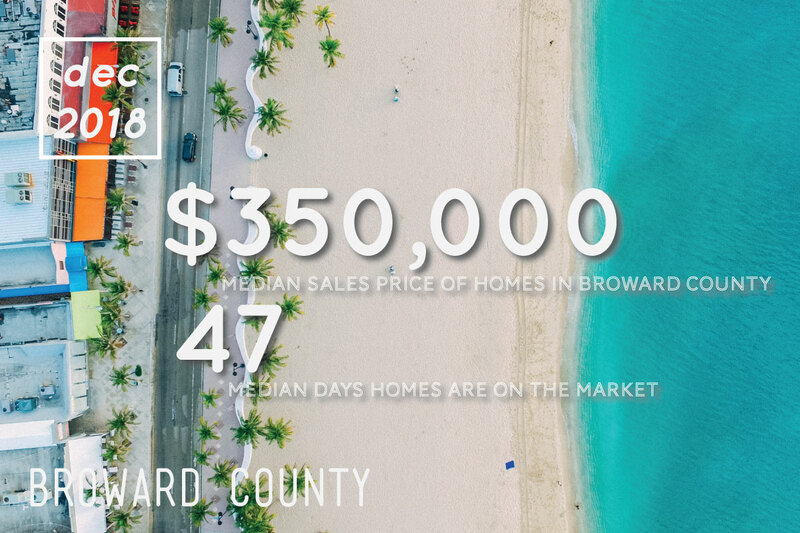 Potential homebuyers should also note that Florida's active listings – or inventory levels of for-sale homes – have been trending up across the state, according to O'Connor. "Statewide, active listings of existing single-family homes have been on the rise since July, which has helped contribute to the softening of price growth, and they continued to climb in December," he says. "At year's end, inventory was up over 13 percent compared to the end of 2017. Importantly, inventory levels are now rising across most of the pricing spectrum, including in some of the more affordable ranges." Last updated April 19 at 3:06 am.